Cryptographic protocols and algorithms evolve over time to counter new security threats. 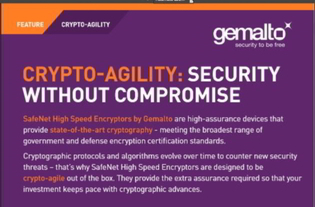 This resource explores Gemalto’s encryption strategy, which can help you gain certified high-assurance network security, maximum network and application performance, and more. Learn more about SafeNet High Speed Encryptors.